Product prices and availability are accurate as of 2019-04-24 04:51:32 UTC and are subject to change. Any price and availability information displayed on http://www.amazon.com/ at the time of purchase will apply to the purchase of this product. 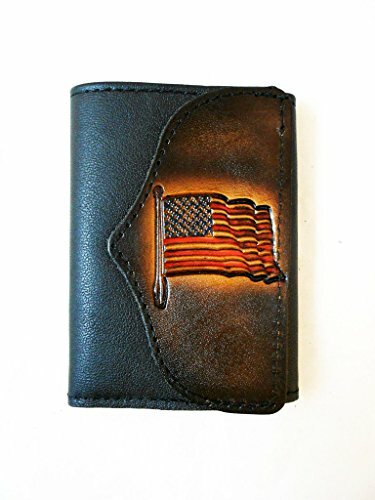 This is a leather trifold wallet featuring The United States flag. 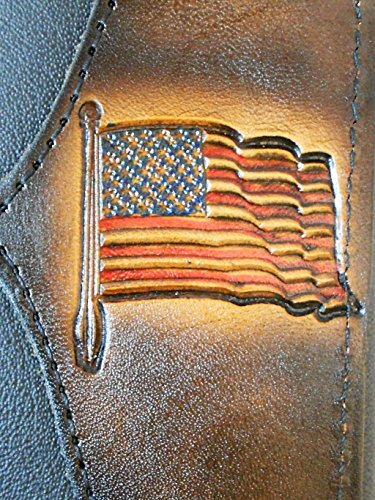 These wallets are hand made in Mooresville, Indiana, USA. 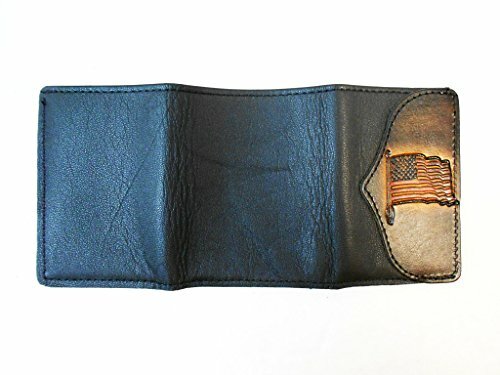 For this wallet I use a soft, black garment leather that is durable and similar to the leather used in motorcycle jackets. The design is tooled in oak tanned leather and highlighted with shades of brown. This combination offers comfort, art and durability. Please understand that leather is a natural substance and each tooled design will be unique. Each piece of leather will take the dye in its own way, and therefore there will be some variations. There is no fabric in this wallet like you will find in most store-bought pieces. My wallets are solid leather, no filler. 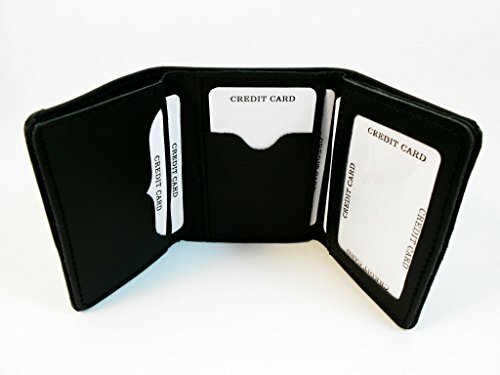 The inside of the wallet features five solid leather pockets plus an ID window. I will include for you a hard-to-find picture insert. I will also make you a hand-crafted free key chain for trying one of my wallets.